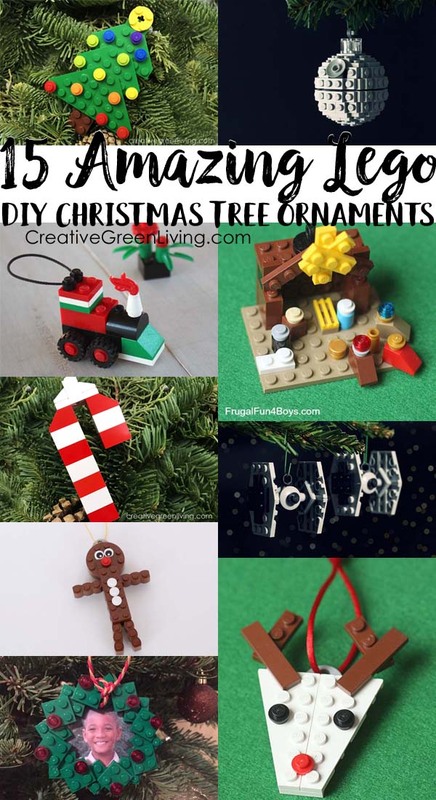 Make a Christmas tree for your Christmas tree! 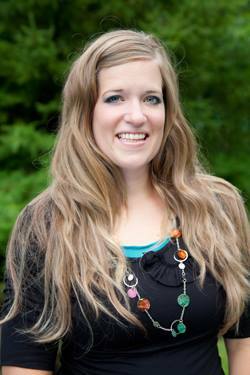 This tutorial also features an original stop motion made by Carissa's seven year old! 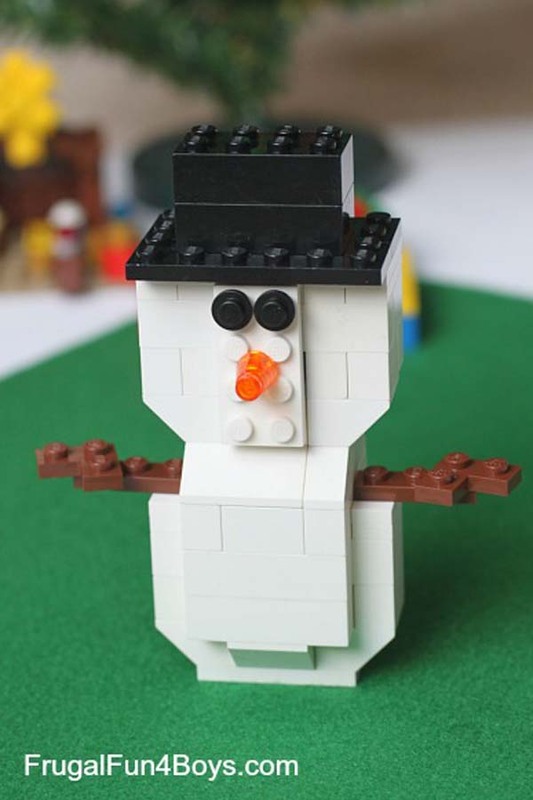 Pop over to my website, Doodle Craft, to learn how to make this adorable train from LEGOs you probably already have in your stash. A must-have for any LEGO Star Wars fan! 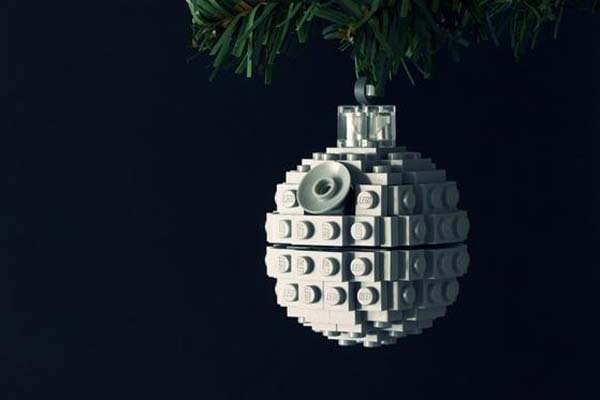 Chris will teach you how to make an iconic LEGO Deathstar - because that's no moon! You know what would be really cool? 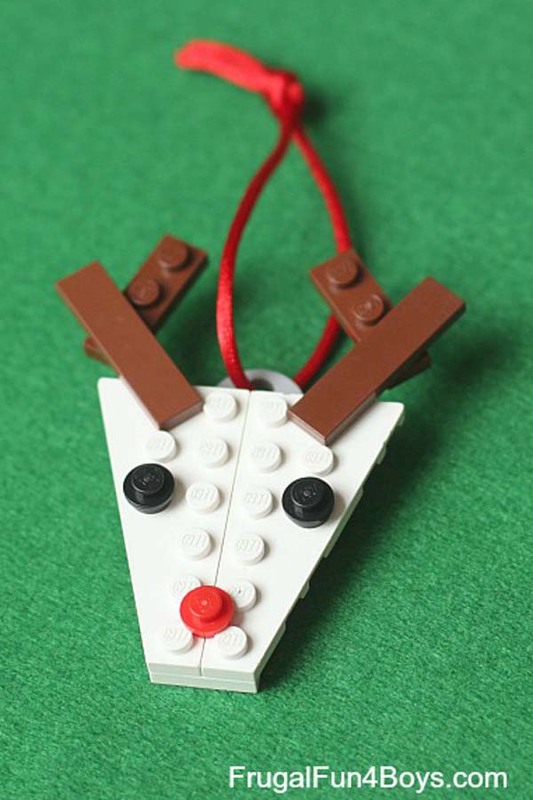 If you followed her tutorial but used a set of red light up LEGO studs to make his nose light up! 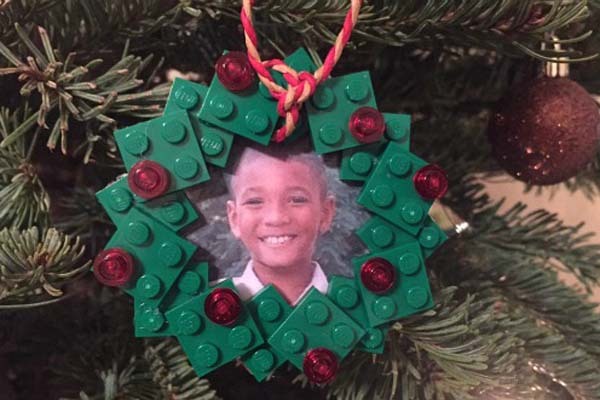 Wouldn't it be special to have your favorite LEGO enthusiast build this wreath for you and then you could put their picture inside? Make sure to use glue to hold this keepsake together so it will last for a long time! 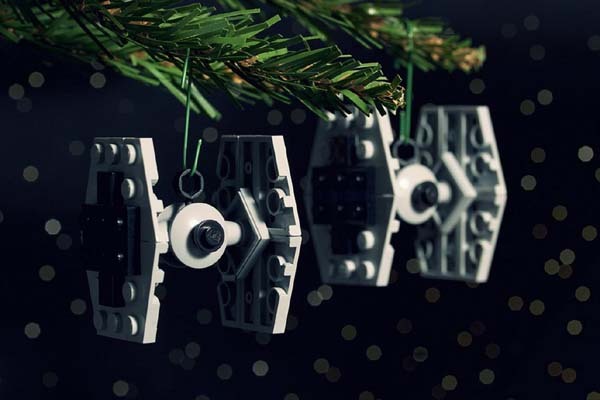 This tie fighters are a must for your LEGO Star Wars ornament collection! 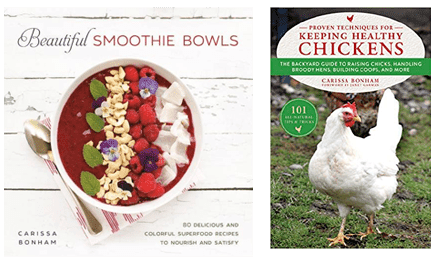 Be sure to make a few (safety in numbers and all that!). 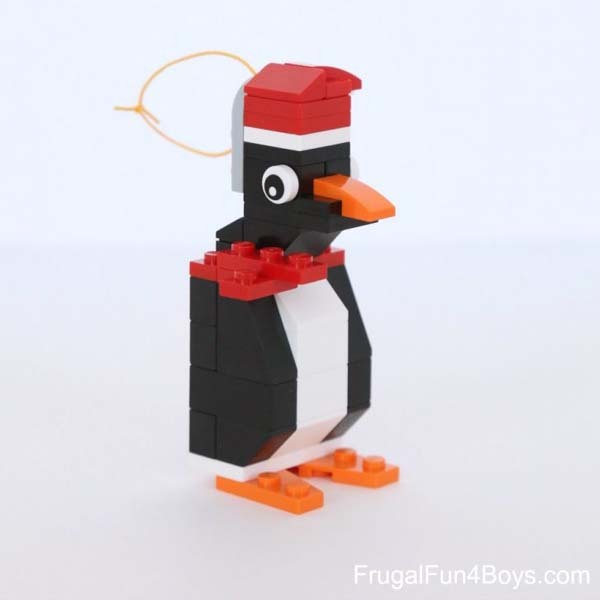 This is another of Sarah's adorable LEGO creations. Try mixing and matching studs for different colored candy or adding a corner plate to make a gingerbread lady. 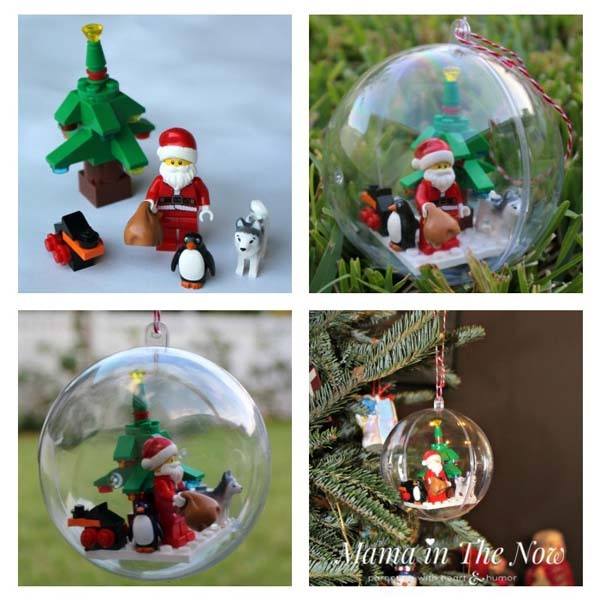 I love this fun way to build your own Christmas LEGO diorama and turn it into a fun Christmas ornament. 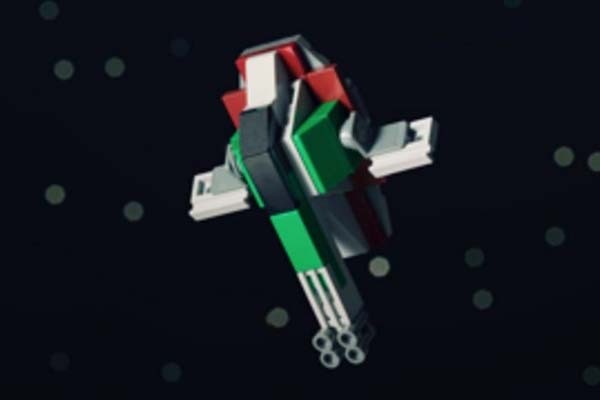 I'd love to go in a LEGO Star Wars direction with this, too, and try making one with some iconic Star Wars characters like Chewbacca or BB8. 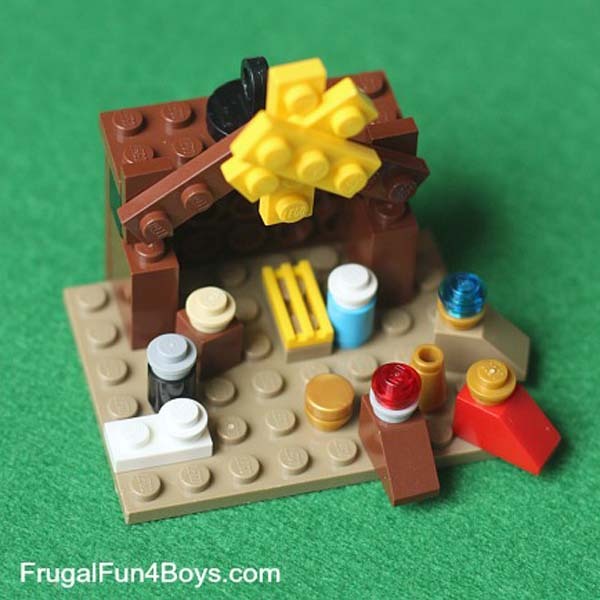 I love the simplicity and creativity of this LEGO manger scene featuring the holy family, wisemen and a shepherd. 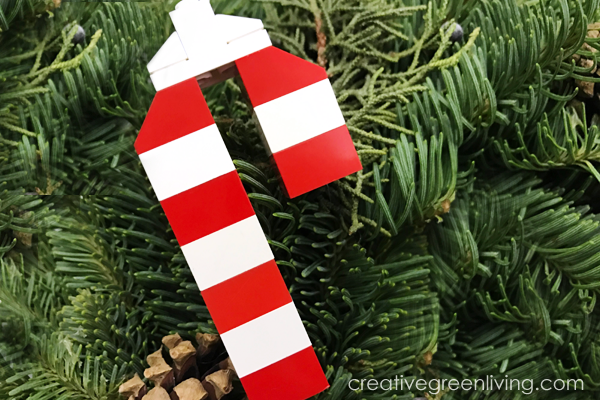 This LEGO candy cane Christmas ornament is easy to make - and was designed by Carissa's seven year old. 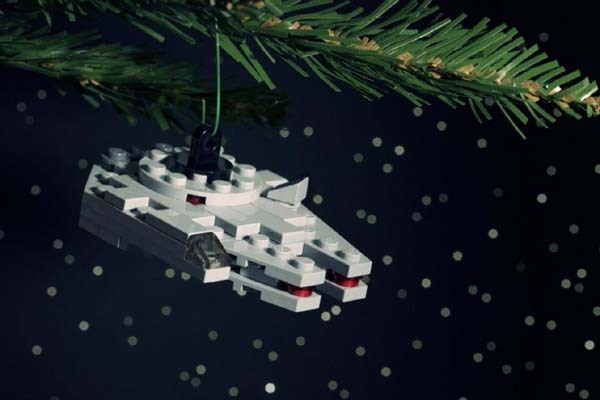 If you have LEGO Star Wars on your mind, be sure to make a Millennium Falcon to add to your Star Wars tree. 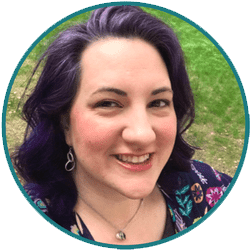 This tutorials comes as an easy to understand printable PDF download. It has an easy to understand supply list as well, making it easy to be sure you have the right pieces or can find them when you take your list to the LEGO store. 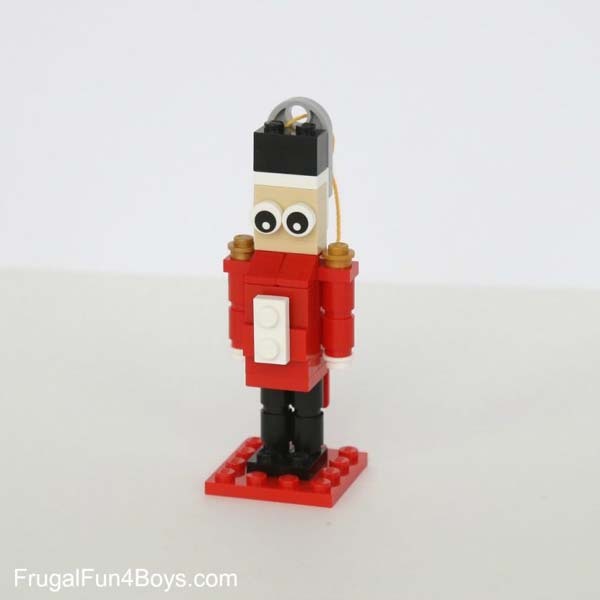 A nutcracker is another iconic Christmas symbol, so this LEGO nutcracker from Sarah at Frugal Fun for Boys and Girls is perfect for your classically themed Christmas tree. Who doesn't love Frosty the snowman? I love the clever way the designer constructed this snowman to make a slightly larger snow man ornament. Piloted by Jango Fett, and later Boba Fett, Slave 1 is another iconic Star Wars ship that every LEGO Star Wars nerd needs on their tree. 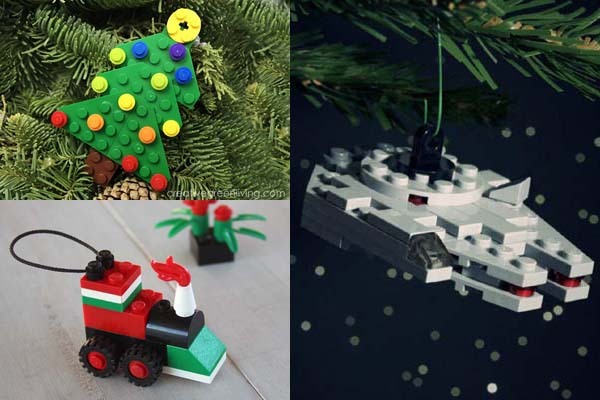 I hope you enjoyed this collection of LEGO Christmas ornaments. 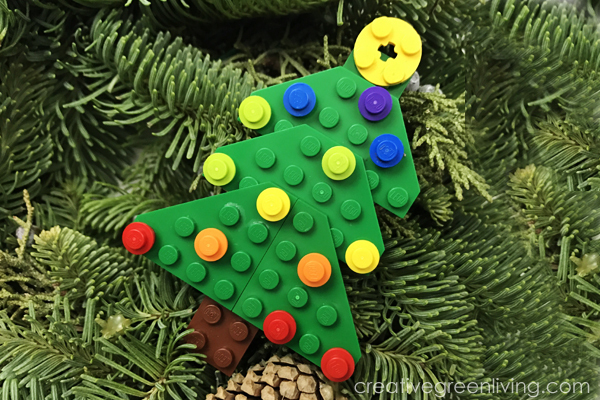 If you love all things LEGO, be sure to follow the Creative Green Living Pinterest board, "Lego Awesomeness"